This past season, Florida State learned that life without Jameis Winston wasn't going to be easy. After two straight flawless regular seasons and three straight ACC titles, Florida State slipped a little bit last season. 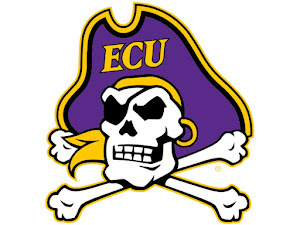 They still won 10 games, went a strong 6-2 in the ACC and pounded archrival Florida, so it is hard to call it a disappointment, however. This year, Florida State expects to get back into the National Championship mix. Their quarterback position will need to be figured out, but they have one of the nation's all-around players in their backfield and one of the land's best young defenders. Clemson may be considered by many the team to beat in the ACC Atlantic, but the Seminoles will be very much in the mix for a big season. Backfield: Florida State got big news last offseason when grad transfer Everett Golson opted to play his final collegiate season with the Seminoles, appearing to the clear replacement for Winston. Golson had his ups-and-downs with Notre Dame, but he was still considered an improvement over Winston's back-up, Sean Maguire. However, Golson struggled mightily at times and never really looked in sync with FSU's great offensive talent. FSU and head coach Jimbo Fisher ended up flipping between Golson and Maguire constantly, wrecking the team's flow. This season, Golson is gone, but the quarterback situation is still murky. Maguire is back after throwing for 1,520 yards and 11 touchdowns last year, and enters his senior campaign. Yet, many Seminole fans think that redshirt freshman Deondre Francois may hop Maguire for the starting gig. Francois was a prized recruit for FSU fans and many saw him as the next Jameis Winston. He took a redshirt last year with Golson and Maguire in front of him on the depth chart. Francois isn't as experienced as Maguire, but he offers more upside and playmaking ability. Francois is a good scrambler and has a bigger arm than Maguire, which fits Florida State's deep threats. Sophomore J.J. Cosentino and true freshman Malik Henry may even be in the mix for the QB job if Maguire or Francois don't impress. While the quarterback spot is certainly a question, the FSU offense will still move the ball much the same they did last year: getting it to Dalvin Cook. While other running backs Leonard Fournette and Derrick Henry took center stage on the national spotlight, Cook was quietly dominating himself. Cook rushed for 1,691 yards and 19 touchdowns, while averaging 7.4 yards per carry. He also added 24 catches for 244 yards helping out as a receiver out of the backfield. 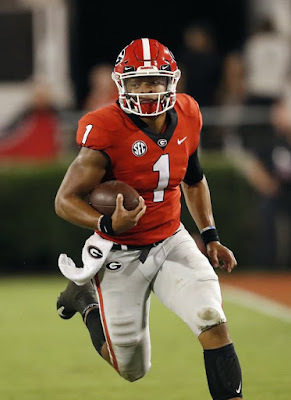 Defenses will certainly focus more on Cook this season, but it will still be hard to bring down a guy that runs like a bulldozer but is still dangerously fast. Cook is supported by sophomore Jacques Patrick. Patrick isn't quite the beast Cook may be, but the 6'2", 235-pounder can still run over people. Patrick added 314 yards and five touchdowns this past season and could see more action as FSU will be cautious with their superstar Cook. Junior Johnathan Vickers adds a proven blocker and decent playmaker who could be a nice change of pace, being slightly more agile and elusiveness than either Cook or Patrick. Receivers: Much like FSU was moving on from a star at quarterback with Jameis Winston departing, they were also replacing Rashad Greene at receiver, their top pass-catcher over the past few years. Big things were expected of Travis Rudolph last season, and he played well. Despite injuries and poor quarterback play limiting his production, Rudolph compiled 59 receptions for 916 yards and seven touchdowns, leading the team. Entering his junior season, Rudolph has the big-play potential and experience to be one of the ACC's best receivers, if not the entire nation. Joining Rudolph should be senior Kermit Whitfield, who is a solid No. 2 option. Whitfield has long been known as a special teams star but made huge strides at receiver this past season, with 57 catches for 798 yards. Whitfield doesn't have Rudolph's size, but he is lightning quick and showed he could be dominant, like when he recorded 172 receiving yards against Louisville in 2015. Sophomore George Campbell was a highly touted newcomer last season who also had heavy expectations placed upon him. Campbell had just three receptions, but his performance in the spring indicates that he could be in store for a breakout 2016 season. Veterans like senior Jesus Wilson and junior Ermon Lane give more experience and proven ability to the receiver corps. Wilson is undersized, but his speed and elusiveness give Florida State a dynamic threat. Lane is a former five-star get for the FSU staff who has shown flashes in his time in Tallahassee, but has yet to put it all together. At 6'3", 205 pounds many FSU supporters imagine the lengthy target as the next Kelvin Benjamin, but Lane has to stay healthy and keep on improving. With Whitfield (5'8") and Wilson (5'10"), having a big guy that can go up and get jump balls like Lane is a great commodity. Tight end was a question mark entering last season as gritty Nick O'Leary graduated, leaving the position up for grabs. Young Ryan Izzo emerged as a quality weapon in the passing game, and enters his sophomore season with the job in hand. Izzo had 14 receptions for 210 yards and two touchdowns and proved he could pick up big yardage, averaging 15 yards per catch. Sophomore Mavin Saunders is a well-rounded target that FSU hopes will grow into his own this year, while senior Chris Casher brings even more upside. Offensive Line: Last season, Florida State was also going through a rough transition on their offensive line, forced to replace all five starters. Although the group had some growing pains last year, they still showed enough that FSU should be excited about what the O-Line can do entering '16. The star of the unit has to be junior Roderick Johnson, a force at left tackle. Johnson earned plenty of recognition for his play last season, earning All-ACC honors and getting plenty of buzz from NFL Draft scouts. At 6'7", 310 pounds, Johnson throws around smaller defenders, but still remains very athletic.With Johnson locking down the left side, the Seminoles will turn to sophomore Brock Ruble at right tackle. Ruble made six starts last season and despite being inexperienced, played very well. Junior Wilson Bell is also going to help out at the right side, at the guard spot. 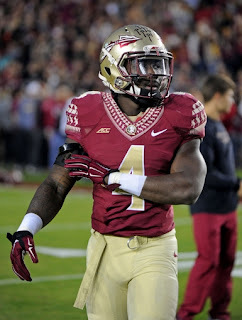 Bell may be FSU's best run blocker, and knows how to block in the ACC. Sophomore Alec Eberle is the favorite to start at the ever-important center position, while former JUCO transfer Kareem Are will round out the starting unit at left guard. Eberle is a rock-solid blocker with tremendous long-term potential, while Are played very well despite adjusting to a much more physical and intense FBS football level. Sophomore Corey Martinez appeared in six games in '15 and showed that he could hang, and should be back to back up Eberle at center. Junior Ryan Hoefield and sophomore Derrick Kelly are just two of a long list of reserves that should bring depth. Florida State is very excited about a fresh group of newcomers coming in, most notably Landon Dickerson and Baveon Johnson. Both possess great versatility and upside, and Dickerson was a pretty big steal from other programs in the state of North Carolina. Defensive Line: While the Seminoles will have a great backfield and a deep receiver corps, there may be no unit on their team stronger than the defensive line. Despite the loss of underrated Nile Lawrence-Stamples (36 tackles, 2.5 sacks), the unit has two returning starters and plenty of potential. Senior DeMarcus Walker has to be viewed as the star of the group. Florida State was hoping the athletic pass rusher would break out last season and he did just that, recording 58 tackles and 10.5 sacks, while earning All-ACC honors. Walker isn't necessarily huge but he gets be with his high motor and great instincts. He should be one of the conference's best pass rushers this year without much doubt. Junior Derrick Nnadi is back to likely lock down the nose guard starting position, and could put together a huge season. Nnadi was pretty dominant last year, with 45 tackles and two sacks, and is among the ACC's best interior defensive linemen. He earned himself a spot on the 2016 Outland Trophy Watch List, and should be very strong. Both Walker and Nnadi are great and proven defenders, but by season's end, defensive end Josh Sweat could be even better than both. Sweat returns for his sophomore campaign after showing tremendous promise as a true freshman last year, with 41 tackles and five tackles for loss. Sweat was a former five-star recruit who many people see as a future NFL star, and his performance last season only led to more excitement. Likely playing the "Buck" position, as a end/linebacker hybrid, Sweat's main focus will be getting after the quarterback, and he should do it very well in '16. Sophomore Demarcus Christmas appears to be the most likely defender to lock down a starting gig next to Nnadi in the middle. Christmas isn't quite as big or strong as Nnadi, but is slightly more athletic and versatile than the veteran, giving FSU a different look in the interior. Newcomer Shavar Manuel could be very good this season despite being obviously inexperienced. Manuel comes from Bradenton, Florida as a four-star defensive tackle and because FSU is not extremely deep at tackle, he could see plenty of chances to show what he can do. Fellow newcomers Brian Burns and Janarius Robinson should give the Seminoles even more to work with on the D-Line. Linebackers: Injuries have hit the 'Noles' linebacker group pretty hard over the past couple seasons, but they still managed to put together decent showings. This season, they will be without Reggie Northrup and Terrance Smith, but could be an improved unit. Northrup was a disruptive presence off the edge who had 94 tackles and five QB hurries last year, while Smith was a sure tackler that racked up 66 tackles this past season. While the Seminoles will miss those two defenders, they have plenty back, led by junior Ro'Derrick Hoskins. Hoskins had 52 tackles and 6.5 tackles for loss a season ago, and remains as FSU's most effective tackler. At middle linebacker, FSU and defensive coordinator Charles Kelly will lean on Hoskins to make a variety of different plays. He is joined by junior Trey Marshall, who should start at the "Star" position. Marshall started Florida State's first six last season then was lost for the season due to injury. With him healthy, FSU gains back a dynamic defender that plays a very tough position. With his health back, expect Marshall's 21 tackles to make a huge jump this season. Rounding out the starters should be the experienced junior Jacob Pugh, who will start outside linebacker. Pugh had 32 tackles and three sacks in three starts last year and proved he could be a disruptive force. Pugh may not have the athleticism of Northrup (who he'll be replacing), but he is fearless, and the Seminoles will look for him to wreak havoc. Florida State possesses great depth throughout the linebacker corps, headlined by junior Matthew Thomas. Thomas is yet another former five-star get for FSU, but despite dazzling talent, he has yet to really make much of an impact in Tallahassee. Suspensions and injuries have limited him, including a shoulder injury that sidelined him all of 2015. Now back and healthy his versatility and wonderful athleticism could push Hoskins at middle linebacker. Secondary: It isn't too often that you can lose one of the most dynamic and best overall players in college football and simply replace him with another one of the country's most talented players, but that appears to be the case with Florida State. 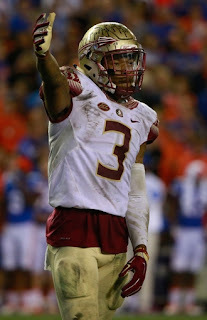 The Seminoles are moving on from Jalen Ramsey, who made the expected jump to the pros after a 2015 in which he had 52 tackles, 2.5 tackles for loss and 10 pass deflections. That helped him earn a Top 5 selection to the hometown Jacksonville Jaguars, after months of analysts labeling the defensive back as the best player in the entire Draft. While the Seminoles may miss the cornerback/safety, they have a rising star in true sophomore Derwin James. James came into FSU with plenty of hype last season and surpassed even many of those expectations. James finished off the season second on the 'Noles in tackles, with 91, while also recording 4.5 sacks and five tackles for loss. Considering he did all that as true freshman, imagine what he could do with more games under his belt and an offseason to get better? James should likely lock down strong safety, while senior Nate Andrews returns to likely start at free safety. Andrews isn't the type of talent James is, but he is a well-rounded defensive back with good instincts. Andrews is extremely proven, as he had a whopping 93 tackles and three interceptions back in 2014, but the infusion of talent in the secondary forced him into a reduced role last season, as he had just 25 tackles. Expect the senior to play a much larger role as a stable, solid defender in the back for FSU. Florida State should be good, not great, at corner. Senior Marquez White returns for his final season in Tallahassee after 25 tackles and two pass deflections in '15. White is a good athlete with terrific range, and FSU hopes he can become their top coverage corner this season. Joining him will most likely be sophomore Tarvarus McFadden, who will have to fight off freshman Levonta Taylor and junior Tres Copeland. McFadden has great size (6'3") and uses his frame to his advantage. He doesn't have the athleticism of others, but he could still be a lockdown weapon for Florida State this season. Taylor is considered by many as the top player coming into Florida State in this recruiting cycle. The Virginia Beach product earned a five-star rating from Rivals, but will have to bulk up to adjust to the collegiate game. Special Teams: It a testament to just how great Roberto Aguayo was at Florida State that he left a year early for the NFL and was selected as early as the second round. Hitting 21 of 26 field goals with a long of 51 and being one of the nation's best kickers over the past few seasons will do that. Unfortunately, his departure leaves FSU thin at kicker. The belief is that Roberto's younger brother, true freshman Ricky, could take over the reigns at kicker. Punter will also undergo a transition, as Cason Beatty graduated. It is completely understandable why Florida State slipped a little bit last season, as they had severe losses on both lines as well as at the quarterback position. Entering 2016, this team has all the talent to return to college football's elite. Dalvin Cook is a short-list Heisman candidate, Travis Rudolph should be special, all five starters are back on the O-Line and the defense possesses talents like DeMarcus Walker, Josh Sweat and Derwin James. Yet, things will not be a breeze for the Seminoles. The QB issues will have to be figured out, and the Seminoles get Ole Miss to open up their season, while also getting South Florida (one of the AAC's best) and Florida non-conference. A date with Clemson on October 29th could very well not only decide the ACC Atlantic, but also a spot in the Playoff. If FSU gets vengeance for last year's loss at the hands of the Tigers, they should win the ACC and fight for higher honors. If not, they could endure another season of being good, but not quite reaching their vast potential.